Marina Lambrini Diamandis, otherwise known as Marina and the Diamonds, is currently my favourite person, ever. I adore her cool retro-vintage style and I love her music - plus she’s absolutely gorgeous! So to honour her amazing-ness (yes I realise that’s not actually a word, but I felt it was appropriate for this situation), I thought I’d do another ‘Get The Look‘ post. Much like my previous Made In Chelsea one (that’s here if those of you who haven’t seen it would like to check it out!). So now you can steal her fabulous style for yourselves. I wish I had her entire wardrobe to be honest. I especially love the neon pieces which are right on trend at the moment, so my wardrobe will definitely be seeing some neon in the very near future! 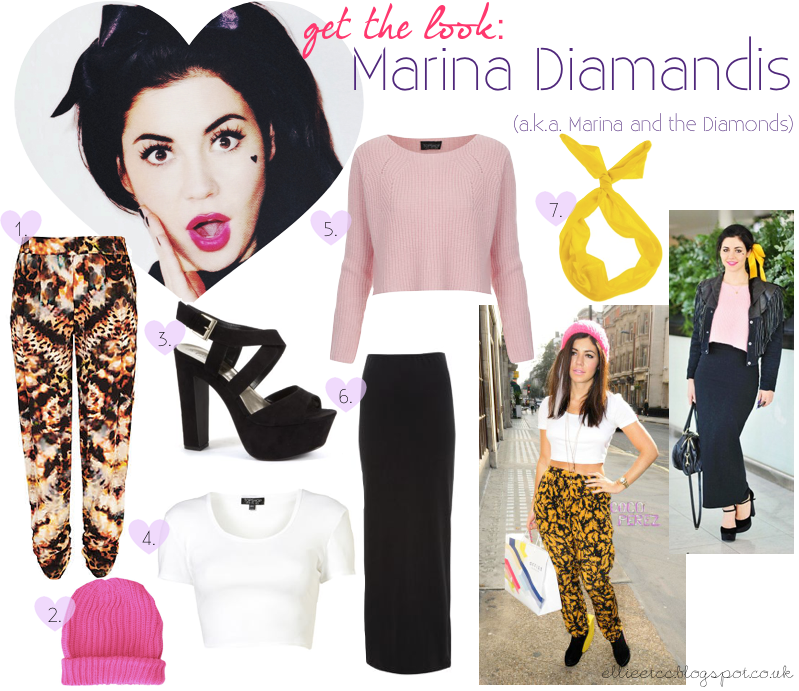 Do any of you love Marina and her style as much as I do? Is there any other celebs you’d like me to do a ‘Get The Look’ for? Comment below as usual to let me know, love hearing from you!